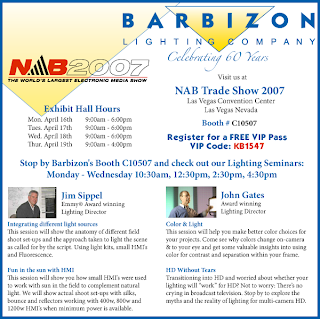 Barbizon Will be on-site @ NAB with the sights and commentary.. Stop by our booth and see our mini-classes presented at 10:30, 12:30, 2:30, and 4:30 . Here's a list of the classes. Remember to stop by out booth in Central Hall 5 Booth # C10507.